A logo is everything to a brand. Without a good logo, a product is highly unlikely to sell. One thing that you will all notice is that there are some brands that are instantly recognizable. McDonald’s, KFC, Wendy’s – we can all think about these brands and it is almost guaranteed that the logo will automatically pop into your head. It is these logos that make these brands as successful as they are. The delicious food helps, of course. However, one thing that you might not know is that there are some brands with logos that actually contain hidden messages and meanings. These are very clever marketing ploys that most of us won’t have even noticed before. 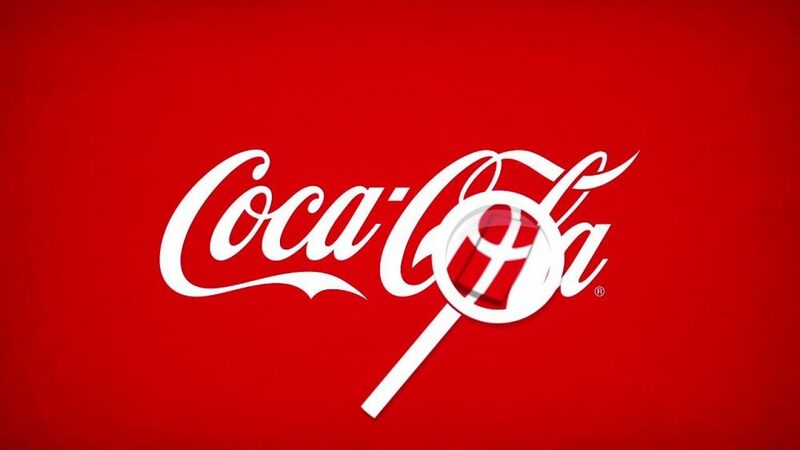 With this in mind, we have compiled a list of the top 10 food logos that have hidden meanings. Let’s take a look! Toblerone is a Swiss chocolate bar brand owned by US confectioners ‎Mondelēz International Inc; formerly Kraft Foods. This delicious pyramid shaped chocolate bar was introduced by Theodore Tobler and his cousin Emil Baumann way back in 1908. If you have yet to try a Toblerone bar, then you are missing out! It consists of milk chocolate triangles filled with almonds, nougat and honey. However, as the years have gone by, the confectioners have brought several new varieties to the market. You can now get dark chocolate which was introduced in 1969, white chocolate which was introduced in 1973, snow topped which has white peaks, Toblerone Praline, and even fruit and nut, just to name a few. Rumor has it that the shape of the Toblerone triangles was inspired by the Matterhorn, a big peak which forms a part of the Swiss Alps. However, Theodore Tobler’s son has actually cleared up this rumor. The shape of the famous chocolate bar was actually inspired by a pyramid shape that dancers made in a performance that Tobler went to see at the Folies Bergeres. Now, onto our original point. 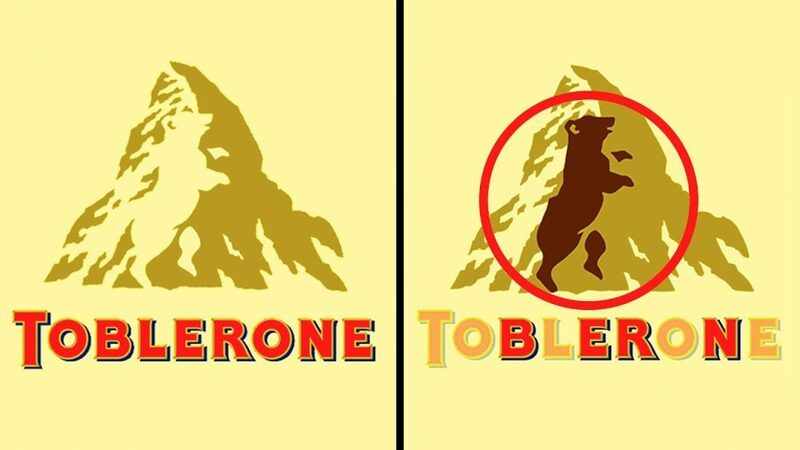 If you take a look at the Toblerone logo it is likely that you will only see a Swiss mountain top. If you look closely, however, you will see that there is actually a bear within the mountain. Bears are synonymous with Switzerland. Very clever marketing indeed! Tortilla chips are among some of the most popular snacks in the world and one of the most well-loved brand in the US is Tostitos. With their motto of “Bring the party” it’s easy to see why this is the case for this product from Frito-Lay. These delicious corn snacks were introduced in 1979 by a group led by Jack Liczkowski. Through extensive research, the group discovered unique traditional cooking methods that allowed them to develop an authentic Mexican flavour. 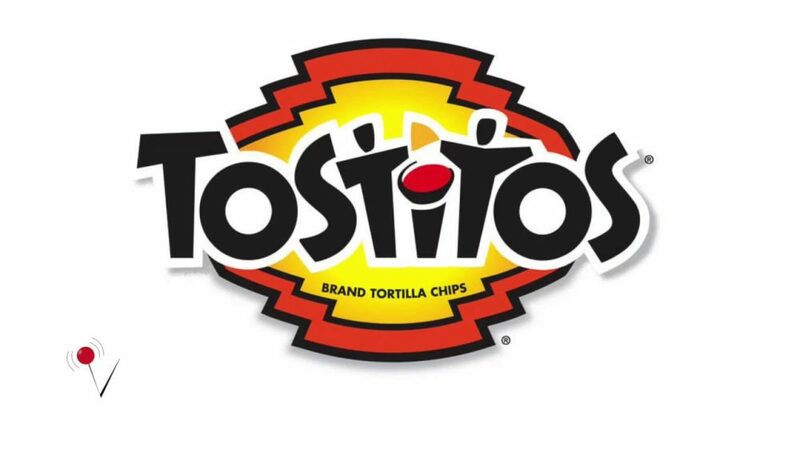 In 1980, Tostitos were launched to retailers with Traditional flavor and Nacho Cheese flavour. Within that first year, sales amassed a staggering $140 million, making it one of the most successful new products to come from Frito-Lay. These days, we are definitely not limited to traditional and nacho cheese flavours. Some of the varieties that are now available include Hint of Jalapeño, Hint of Lime, Hint of Pepper Jack, Spicy Quesadilla, Tostitos Scoops and Tostitos Rounds. These are just a few of the variants, there are many others too. In 1995, Tostitos became the official sponsor of the Fiesta Bowl; part of the college football championship games. Now, onto their logo. We hadn’t even noticed this before, but if you take a look at the two T’s in Tostitos, you will see that there are two people enjoying tortilla chips and a dip! Again, very clever marketing. Chick-Fil-A is one of the most popular chicken restaurants in America, next to the delicious KFC. It started out life as Dwarf House and was founded in 1946 in Georgia by S Truett Cathy. 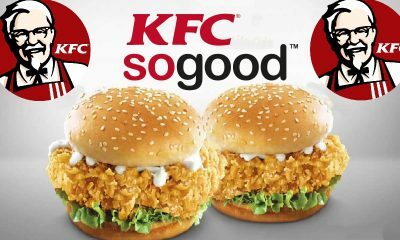 This fast food chain specializes in, you guessed it, chicken! 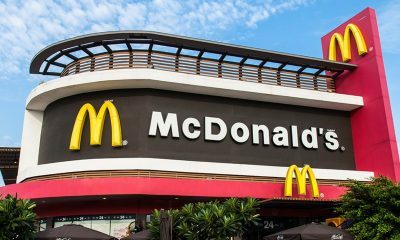 McDonald’s are probably best known for putting the hamburger on the map as one of the most popular convenience food, and the same can be said about Chick-Fil-A and their famous Chicken Sandwich. 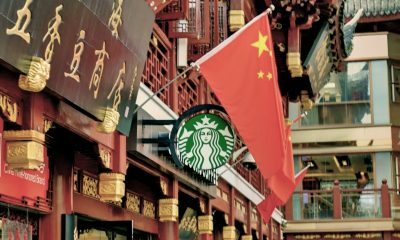 These days, the chain has revenue of a staggering $9 billion and has over 2,200 locations across the US. In fact, there are only three states that don’t have a Chick-Fil-A location: Alaska, Hawaii and Vermont. It has been estimated that by the year 2020, Chick-Fil-A will be bigger than Wendy’s, Burger King and Taco Bell. Given the popularity of all three of these chains, this is a huge feat indeed. The first 100 customers to any new location receive free food for a year! If this doesn’t entice you to try the chicken sandwich we don’t know what will. 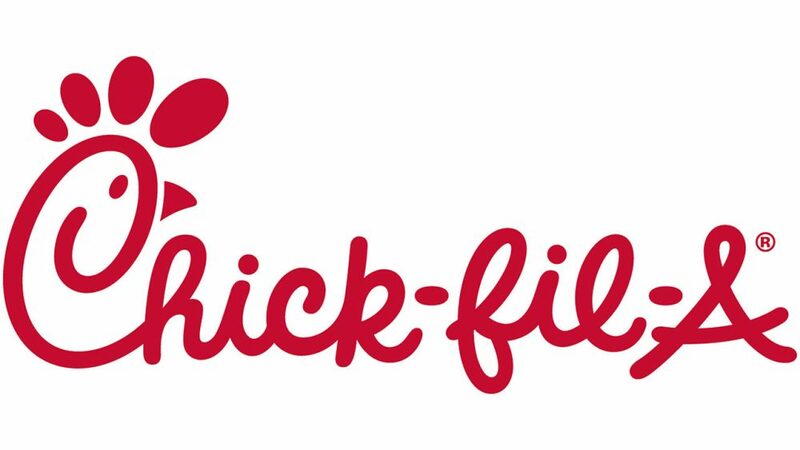 The Chick-Fil-A logo and name is actually a great example of some very clever marketing. First of all, the name is a play on the American pronunciation of fillet. This is quite a well-known fact. What you might not know, however, is that the ‘A’ in the name also stands for grade A chicken. There is something hidden in the logo that you might not have previously noticed, and that is that the C in the name is actually shaped into a chicken! Based in Massachusetts, Baskin Robbins was founded in 1945 by Burt Baskin and Irv Robbins. The first Baskin Robbins location was in Glendale, California. According to claims by the duo themselves, their brand operated the world’s largest chain of ice cream speciality stores. In fact, there are a staggering 2,500 locations spread out across the United States and a whopping 5000 locations across other countries. Since 1945, over 1000 ice cream flavors have been released by the brand. Baskin Robbins came about when brothers in law Burt Baskin and Irv Robbins merged the two ice cream parlors that they owned; Burton’s Ice Cream Shop and Snowbird Ice Cream. Snowbird originally offered 21 different flavors, but this number was increased to 31 after the merging of the two parlors. By 1948, they duo had opened 6 stores. Within the following decades, they went on to open stores in other countries including Japan, South Korea and Australia. Baskin Robbins was actually the first brand to introduce ice cream cakes to the general public. The slogan of the brand is “31 flavors” with the idea being that you can try a different flavor for every day of the month. 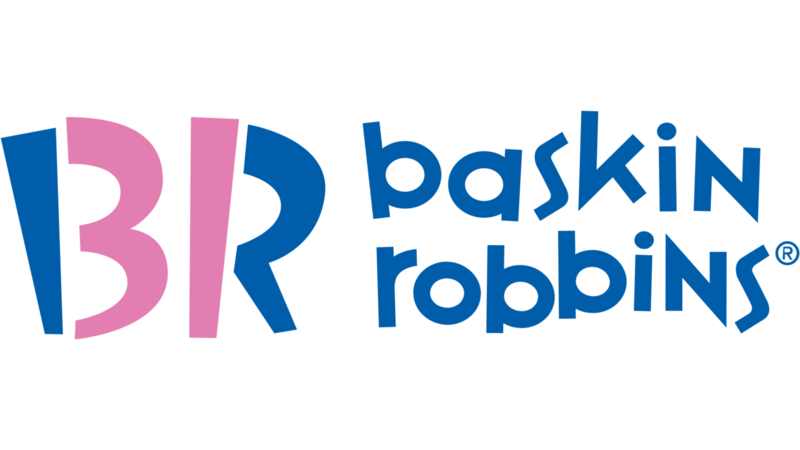 If you look closely at the Baskin Robbins logo, you will see that the pink parts of the B and the R form the number 31, in keeping with the traditional motto. Hershey’s Kisses are a hugely popular product made by The Hershey Company. If you have yet to experience these delicious treats, then the best way to describe them is chocolate tear drops with a flat bottom that have been wrapped in aluminium foil. Hershey’s Kisses were introduced way back in 1907. Originally, each kiss was hand wrapped in foil. As you can imagine, as their popularity grew, manufacturers simply couldn’t keep up. Fortunately, three brothers named Walter, Howard and Raymond Phillippy, were on hand to develop a machine that would provide automatic wrapping. They also created a device that would reject misshapen kisses. In 1942, the production of Hershey’s Kisses was halted due to the rationing of aluminium foil. During this time, the confectioners decided to use the machines to make a chocolate paste to give to the soldiers who were serving in WWII. Hershey’s Kisses are one of the most popular chocolate brands in the US. In fact, in 1989, they were named the 5th most popular brand in America with sales topping $400 million. Despite there only being two factories, each day there are more than 60 million Hershey’s Kisses produced. 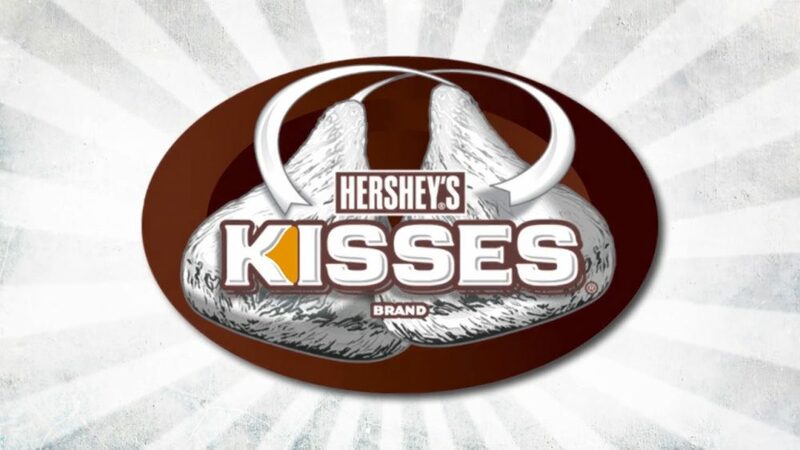 If you look closely at the logo, you will see an extra Hershey’s Kiss in between the letter K and I. Sneaky! Possibly the most famous drinks brand in the world, Coca-Cola has an incredibly rich and complex history. Although there is much debate, it seems that the original inventor of the beverage was Confederate Colonel John Pemberton. The backstory to his invention is actually quite interesting. Pemberton was injured during the Civil War and became addicted to morphine. It was during his battle with addiction that he decided he needed to find an alternative and it was then that he invented Coca-Cola. This was way back in 1886 in the United States. The first outdoor sign promoting the drink was painted in 1894 in Cartersville, Georgia. It was advertised as Cola Syrup which was actually an over the counter supplement for an upset stomach. The longest running Coca Cola fountain was in Fleeman’s Pharmacy and was in use between the years of 1914 and 1995. Coca-Cola has some of the most well-known advertising campaigns in the world. We all know and love the “Holidays are coming” advert which symbolizes the arrival of the Christmas season for many millions of households. One thing that you might not be aware of is that there is a hidden message of sorts in their logo. In the negative space between the O and the L, you will see the flag of Denmark. Coca-Cola themselves have declared that this is purely coincidental. However, this didn’t stop them using it to their advantage in advertising campaigns for certain countries. 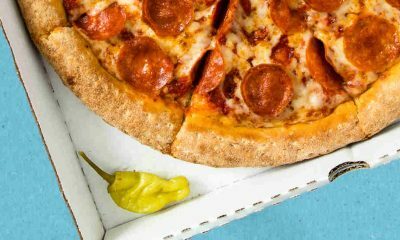 Domino’s Pizza was founded in 1960 in Michigan by Tom and James Monaghan. Originally, the two brothers had planned to split the working hours of the restaurant between them. However, James didn’t want to quit his full time job as a postman. 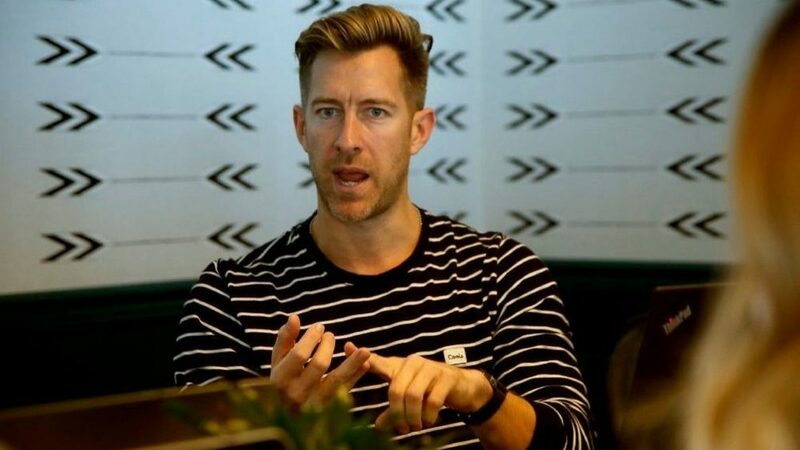 Within 8 months of the business opening, James traded his half of the business to Tom in exchange for the Volkswagen Beetle that they used for deliveries. By 1965, Tom had purchased another two locations. He originally wanted all three of the locations to have the same name of DomiNick’s, but the original owner of the restaurant forbade him from doing so. Employee Jim Kennedy came back from deliveries and suggested the name Domino’s. Evidently, Monaghan loved the idea of the name and registered Domino’s Pizza Inc. The backstory for the logo of Domino’s is actually quite interesting. Originally, the three dots on the domino represented the three locations that Tom Monaghan had secured already. His intention was to add a new dot to the logo for every new location. 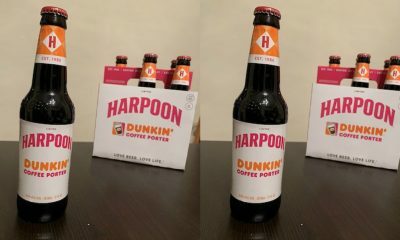 Given the massive expansion that occurred and the fact that there are now locations all over the world, it is easy to understand why his original idea had to be dropped. So, the logo now consists of a single domino with three dots that represent the first three locations. Who knew! Wendy’s is possibly the most well –known diner style fast food chains in the United States. Known for their relaxed dining style, Wendy’s was founded in Columbus, Ohio in 1969 by Dave Thomas. 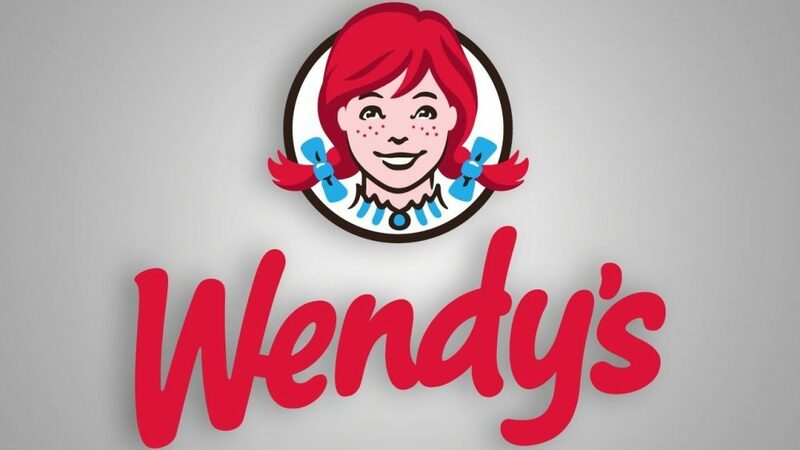 These days, there are over 6,500 Wendy’s locations, making them the third largest hamburger fast food chain behind McDonald’s and Burger King. 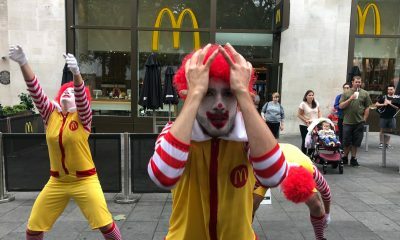 Surprisingly, whilst the Wendy’s Company has control over the appearance of the outside of all of the locations, the individual owners of the location actually have control over a lot of other things including wages, pricing, interior appearance and even the staff uniform. If you have never been to a Wendy’s location before, then you are probably unsure of what to expect, in terms of options on the menu. Wendy’s pride themselves on cooking food like Mom makes. 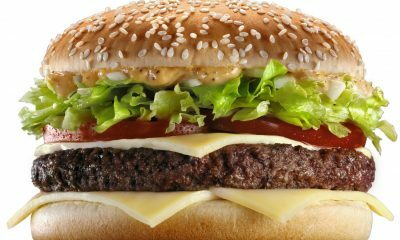 This is why you will find American classics such as French fries, hamburgers, chicken sandwiches, and many others. One thing that you might not have noticed is the hidden message in the Wendy’s logo. If you look closely at Wendy’s collar, you will see that it spells out the word ‘Mom’. This is great in that it is very fitting for their suggestion that they make food like Mom. However, when asked about it, the staff at Wendy’s confirmed that this was simply a happy coincidence. Cool, nonetheless. Jack in the Box is another incredibly famous fast food chain in America, this time founded in California way back in 1951. These days, there are a very impressive 2,200 locations dotted all across the West Coast. There are a range of foods that can be found at Jack in the Box including French fries, hamburgers, chicken tenders, tacos and even egg rolls. 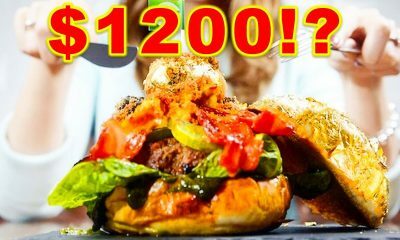 You may think that Jack in the Box is the same as any other hamburger focused fast food restaurant, but this is definitely not the case. In fact, they were the first fast food chain to focus on the drive-thru (although not the first to operate one) and they were the first fast food chain to use a two way intercom system. 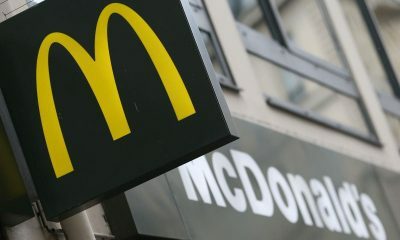 This system can now be found in thousands of fast food chains all over the world. The old Jack in the Box logo was part of a conspiracy theory. The O and the X formed the shape of a Christian fish. Theorists claimed numerous conspiracies relating to this. However, it is likely that it was simply a coincidence. Either way, the logo has since been updated and now looks completely different. Another famous drink brand, this time Coca-Cola’s main competitor, Pepsi. Pepsi was invented way back in 1893 by Caleb Bradham. 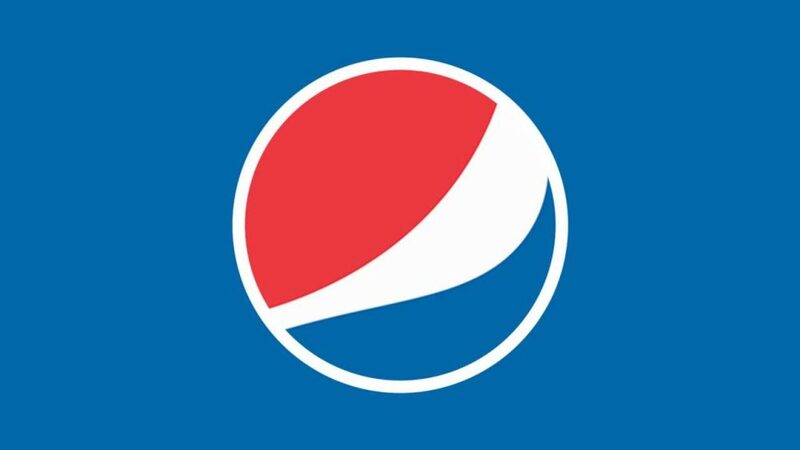 It was originally named Brad’s Drink, then Pepsi-Cola and then finally, in 1961, it was renamed Pepsi. The brand had has long running rivalry with Coca-Cola, and everyone has their personal preference. One thing that you might not know is that the old Pepsi logo actually had a lot of hidden meanings and messages. It was designed to draw inspiration from all sorts of things from The Theory of Relativity to Feng Shui. However, the logo was changed. One thing that has always remained the same with the Pepsi logo is the red, white and blue representing the colors of the American flag. So, there you have it, 10 of your favorite brands with logos featuring all sorts of hidden meanings and messages. There are hundreds more, too. Next time you visit a fast food joint, maybe take a look at their logo and see if you can spot anything different about it! Clever marketing can be found all over the world and you never know what hidden messages you might be missing! Everywhere we look there are logos with hidden messages or hidden meanings that we will have never even thought about before. Next time you pick up your favorite chocolate bar or bag of chips, take a look at the logo for a second and see if you can spot anything in the logo that you hadn’t noticed before!